We need a source of energy to cook food and keep our house warm. Ever wondered where this energy comes from? The natural gas is one of the safest, cleanest and most useful forms of energy used in our daily lives. In scientific terms, it is a hydrocarbon, which means it is made from compounds of hydrogen and carbon. The simplest type of hydrocarbon is methane, and it is composed of one carbon and four hydrogen atoms. Natural gas is also known as fossil fuel because it is sourced from the remains of animals and plants that existed millions of years ago. These organisms have remained buried underneath soil and rock for years. They are exposed to heat which has transformed the remains into natural gas. Natural gas may be found in the gaseous form or in combination with oil. It is both odorless and colorless, and may sometimes be mixed with hydrocarbons. While it is usually mixed with methane, it may also be mixed with some other types of hydrocarbons such as propane, ethane, and butane. When natural gas is sourced or extracted from beneath the ground surface, it may be mixed with oil, water, carbon dioxide, nitrogen, sulfur or other types of impurities. The pure or raw form of natural gas undergoes the process of filtration to remove the impurities before being delivered to homes and businesses. It is one of the most widely used sources of energy. It is highly combustible and burns cleanly than other sources of energy. 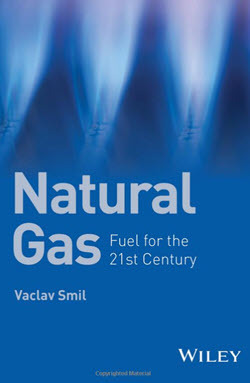 As a result, natural gas has reinforced its status as one of the most highly used sources of energy. Natural gas can be measured in different ways and the most widespread unit of measurement Gigajoule (GJ) that stands for one billion joules. It is the metric measurement for heat or energy. Some of the other measures are Btu (British Thermal Unit) and Mcf (thousand cubic feet). What are the different uses of Natural Gas? Natural gas is the main source of energy used in the residential settings. We need a constant supply of energy to cook food, heat water, generate electricity and keep the house warm. The most common use of natural gas at home is heating water tanks and furnaces. It may also be used to operate several household appliances such as clothes dryers, stoves, barbecues, and fireplaces. With the use of natural gas, we can ensure that our homes run safely and economically. Commercial places like office buildings, hotels, schools, restaurants and other types of commercial enterprises also use natural gas. Similar to the residential places, these commercial enterprises also use natural gas for cooking, heating and cooling purposes. Some of the large enterprises also use natural gas for onsite electricity generation as a cost-effective alternative. The industrial sector also consumes a high percentage of natural gas for a wide range of processes in metal, chemical, plastic, food processing, glass, and paper industries. The ingredients used for making plastic, fabric products and fertilizers are formed by using by-products of natural gas. 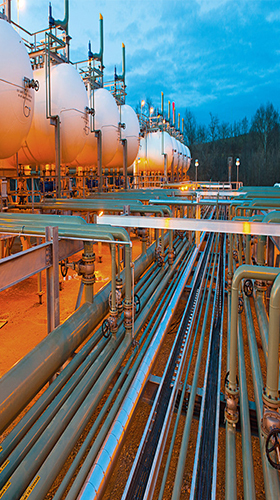 Natural gas, in raw or filtered form, is transported to the different sectors through a network of pipelines. There are mainly three different types of pipelines – gathering pipelines, transmission pipelines, and distribution pipelines. The gathering pipelines transport raw natural gas directly from the source to the gas processing plant. The transmission pipelines are used to transport the processed natural gas to different locations. In this type, the high-pressure gas flows into the low-pressure distribution system. The distribution pipelines are used to reduce the pressure using a regulator before it reaches the end user. Raw natural gas is readily available however this form of gas cannot be used for cooking or industrial applications. To make it usable you need to separate the raw form of gas from the solid and liquid contaminants. The different types of contaminants may include water vapor, chemical, iron oxide, iron sulfide and acid gas (hydrogen sulfide and carbon dioxide). If these contaminants are not removed using the filtration process, it will result in damaging the processing equipment, corroding the distribution equipment and foaming. The natural gas filtration process helps in removing the impurities in order to optimize the efficiency and effectiveness of the resources. It helps in attaining the highest quality final products that are contaminant-free and very effective. The raw gas needs to be purified to meet the quality standards that are set by specific pipeline transmission companies. The standards may differ from pipeline to pipeline. They usually constitute a complete function of pipeline system design and the market that it serves. The natural gas filtration process usually constitutes of two different stages. The first stage is the removal of gas contaminants (mainly H2S). This is known as gas sweetening. This is followed by separation of water vapor, also known as dehydration method. It uses several; types of separators to remove the water vapor and collect the purified form of natural gas in a different container. Some of the important supplies you need for the above process are strainers, which are used in the first stage of the filtration; separators, used in the second stage of the filtration; and coalescers, used in the final phase of the process. The right supplies are extremely important to ensure that you get optimum results. When you are looking for high-quality filtration process supplies, natural gas filters by Advanz Industrial deserve to be mentioned. Since its inception, the company has attained a name for it and created a niche in the industry. They are one of the premium suppliers of high-quality strainers, separators, coalescers and replacement filters that are tested to maintain highest standards. When you need a complete, cost-effective and efficient solution, Advanz Industrial delivers impeccable results. They have more than 40 years of industrial experience that works in their favor. Visit the website to learn more about their services and get in touch with a representative today. Theme Designed by InkHive. © 2019 Natural Gas | A New Cleaner Energy. All Rights Reserved.